Did you know that solar physicists sometimes use more than one name to refer to the same thing? That's the case for filaments (dark bands of material lying over the Sun's surface) and prominences (bright material hanging over the Sun's edge), which turn out to be the same thing but viewed from different angles! 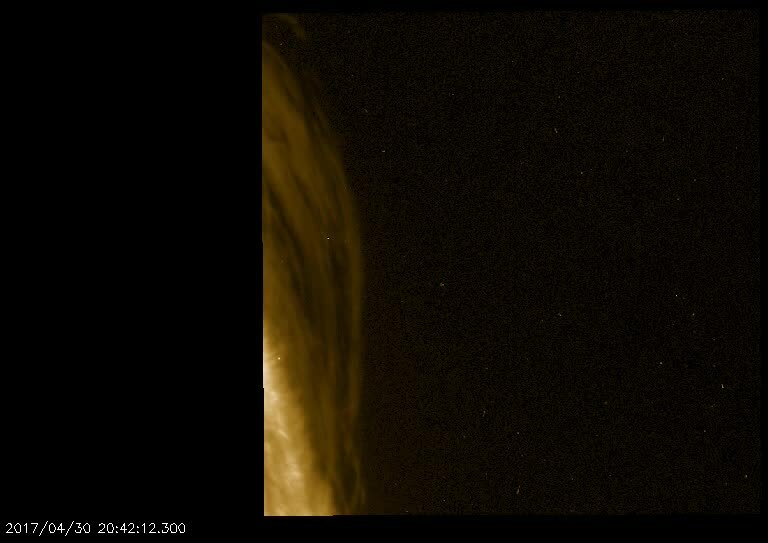 This prominence, viewed in ultraviolet light produced by magnesium in the Sun's atmosphere, exhibits long flows that from this angle resembles a waterfall hanging off the disk of the Sun.